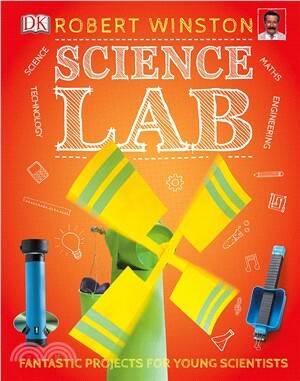 From building a bridge and crafting a catapult to making a marble run and creating a crane, Science Lab is packed with activities that young readers can do at home to explore, discover, and understand the way the world works. How are rockets fired into space? How is energy harnessed? How do buildings survive earthquakes? With fun, hands-on projects and experiments, this book reveals how science, technology, engineering, and maths are woven through the world around us. Simple steps guide readers through the stages of each project, with spotlights on the key science, technology, engineering, and maths learning involved in each project along the way. "Take it further" panels encourage young readers to experiment and take their projects to the next level, developing their independence, initiative, and creative thinking skills. With a focus on STEM subjects (science, technology, engineering, and maths) across school curricula to prepare children for the modern world, Science Lab will inspire and engage inquisitive young readers. It's perfect for school projects, homework help, and firing up imaginations.